Amigos For Kids is a nonprofit organization dedicated to preventing child abuse and neglect by valuing children, strengthening families and educating communities. Annual Toy Drive A-Z; depicts the process from sorting gifts to delivering them. Get involved! Highlights the various programs of the organization. There's NO excuse for child abuse! Blue Ribbon annual event at Miami Dade County Auditorium for elementary school children. 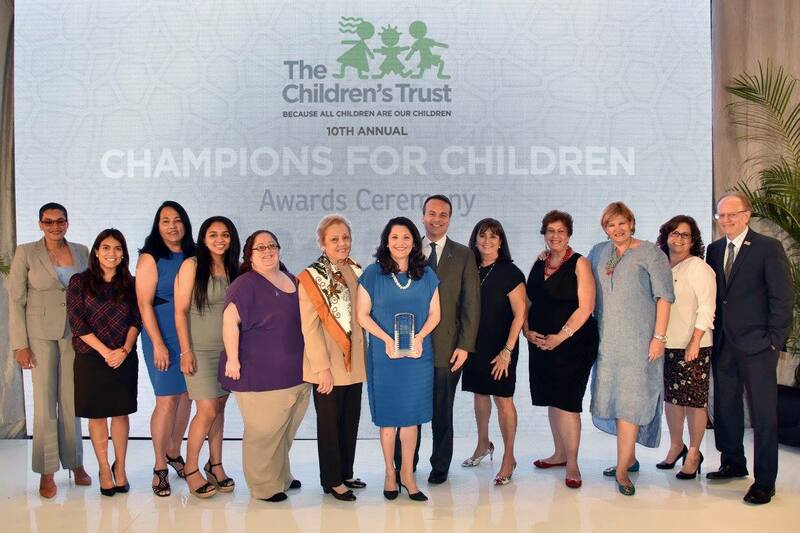 The Children's Trust Champion For Children Awards Ceremony - June 2015 - Amigos For Kids Program of the Year Award for Nurturing Parent. Nurturing Parent Session - Graduation Day with Grandparents, parents & kids. Nurturing Parent Session - Graduation Day with parents & kids. Toy Drive - making a wish come true! Avid reader told us Kindle was too expensive, and asked for something less costly. Amigos Strengthens Families and Communities program is a community-based culturally and linguistically sensitive program for parents/caregivers designed to prevent the occurrence or recurrence of child abuse or neglect. The goals of parenting education are to strengthen families by providing relevant, effective education and support and to encourage an optimal environment for the healthy growth and development of parents and children. Amigos will provide a comprehensive array of services from recruitment to opportunities for practicing skills during field trips, family events, and community fairs. After-school program for children ages 6-12 years old. Services include homework assistance and tutorial functions, diverse cultural and recreational activities, leads reading and quiet-time activities which encourage social interaction between children, prepares and/or serves after school snacks, field trip activities and constant child supervision.